*This is a guest post written by my husband who writes over at Big Stevie Cool. 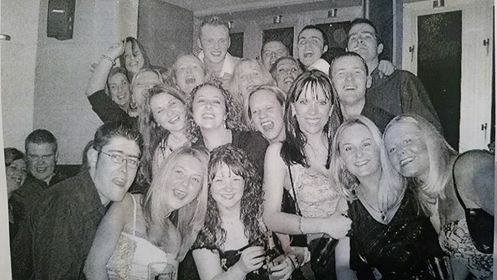 In my late teens and early twenties, the weekend was all about going out with your mates and getting as drunk as humanly possible (not responsible I know but that's just how it was). This photo below is of us and all the gang out in Whitley Bay on our normal weekend session. I can't believe how young we are! I was 21 and Mrs Cool was just 18. Where does the time go? I have a few stories to tell but they certainly aren't suitable for a family blog - let's just say, we knew how to party in those days. There are over 20 of us out on the town in this photo and this was a pretty regular thing. Now I'm in my (*cough*) mid-thirties, getting 20+ of your mates together for a night out seems pretty impossible. It seems that the only time all of us manage to get together these days is when someone ties the knot. It's all part of growing up and having responsibilities (and less money thanks to three kids) though I guess. I do really miss our weekends out on the town but now the kids are older, I am starting to get a little bit of this back - it's just a bit different. Harry is 10 (going on 30) now and we share a lot of similar interests - mostly The Flash, Doctor Who, Star Wars ect..... and I am starting to let him watch some cult Sci-Fi movies too which he's really getting into. Mrs Cool isn't really into any of this so it's good to have someone to watch shows like this with at home. So when Zapatista asked if we'd like some tickets to last week's Eagles game we thought we'd make a bit of a boys night out of it. I invited my brother in law and Harry's cousin along too. 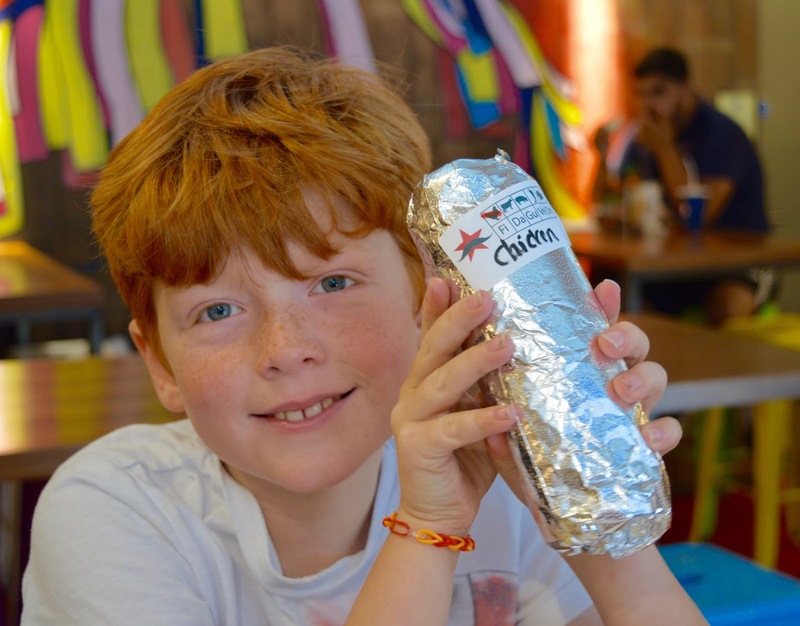 A boys night out used to start with your mam cooking you a proper tea to line your stomach, but now with so many quick places to grab a bite to eat in town, we decided to start with Harry's favourite - burritos from Zapatista. Plus as they provided us with match tickets, it would be rude not to. Harry is honestly obsessed with Zapatista's Burritos and their Ridley Place branch is conveniently located not far from Sports Central where the Eagles play. The Burritos are packed with flavour and I think the ultimate fast food -much better than stopping at a greasy kebab shop like the good old days. We've been to Zap's countless times now and Harry would always choose here over somewhere like McDonalds or KFC (he obvs has good taste!). Stomachs filled, we headed to Sports Central in Northumbria University. We were able to access to corporate lounge and Harry made the most of the 'free' nachos whilst we chatted about the upcoming match. There was a pre-match talk by coach Fab which got everyone in the mood. 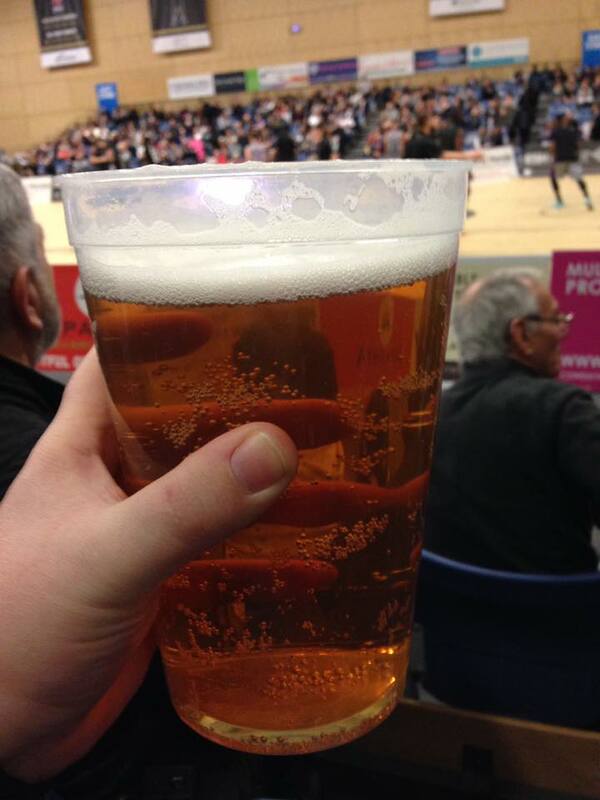 Obviously it's Friday night so beer was involved - you can buy 2 pint pitchers at the Eagles match. Canny! If you've never been to an Eagle's match before, they are a nice & alternative way to spend a Friday night - fast paced with lots of little competitions and giveaways plus cheerleaders and crowd participation. The atmosphere is always good. Did I mention there's beer too. 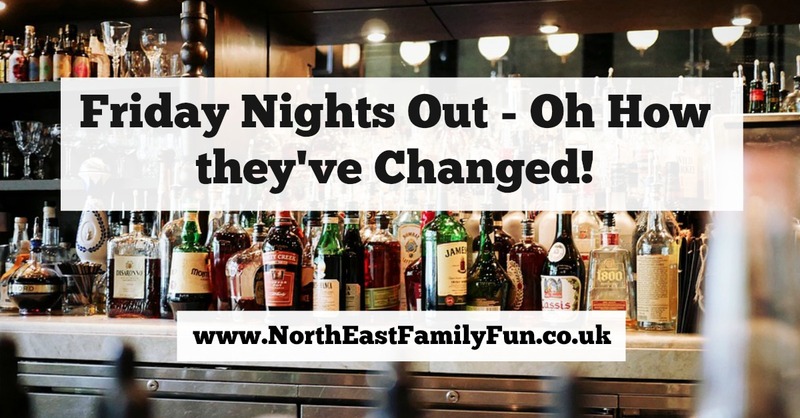 Boys nights out may not be once they used to and yes, things change but if you are longing for the good old days and can't get out much due to kids, I would recommend taking them to enjoy a night out at the Eagle's game as an alternative. It certainly beats sitting in the house watching TV, especially if they win (which tbh - they usually do). Let me know if you have any alternative nights out we can try now the kids are older. 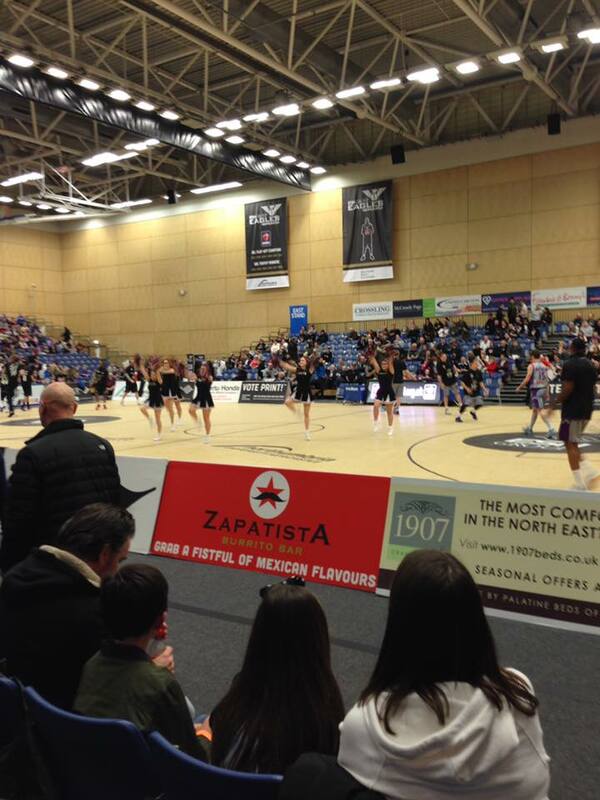 Thanks to Zapatista who provided us with tickets to the game. 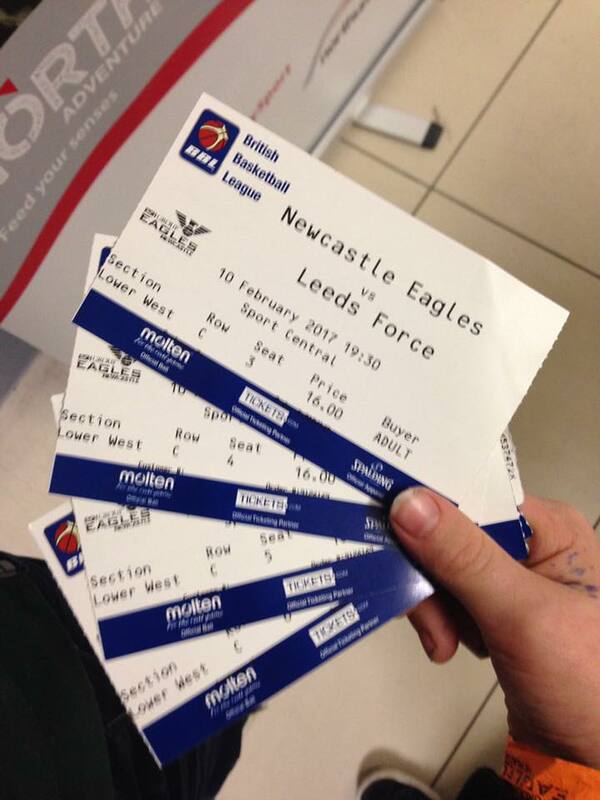 We've not been to watch the Eagles yet, I should probably add it to my Newcastle Bucket list! Such a good night for adults and kids! we are going back in a few weeks!